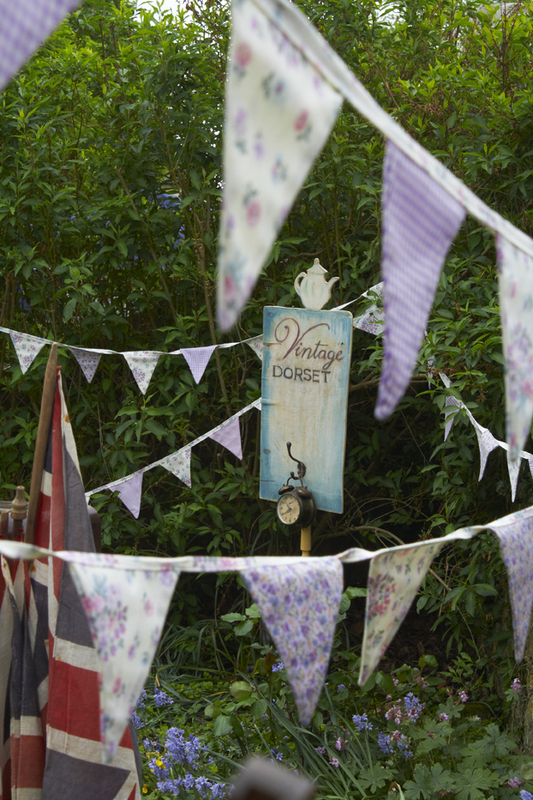 There’s something quintessentially English about bunting. We took our purple and blue bunting and a picnic up to Bulbarrow whilst all of the bluebells were out for some great bunting and bluebell photos. Steve is a travel and landscape photographer and he captured the spring light just perfectly! For more of Steve’s work visit Steve Atkins Photography. 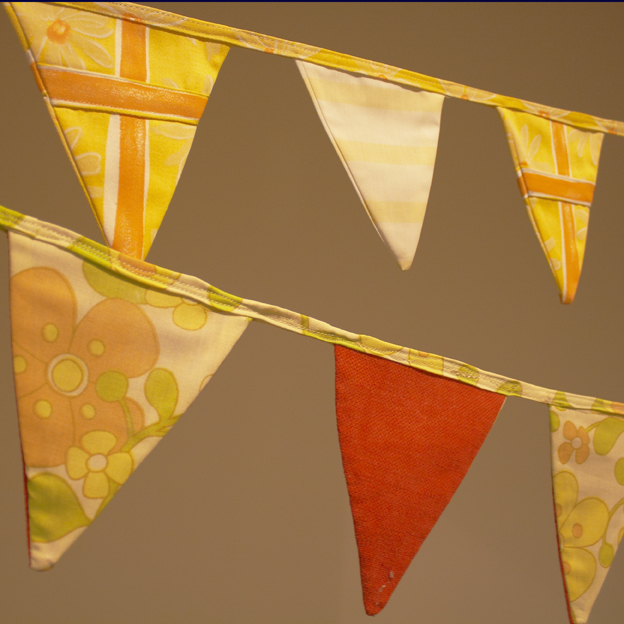 Bunting (or bunt) was originally a lightweight worsted wool fabric or tammy. These worsted “tammies” were made in Norfolk from around 1594 and were used for making ribbons and flags including signal flags for the Royal Navy. In white and more recently in colours, they have gradually evolved to become a signal of celebration perfect for parties, weddings and celebrations. Bunting in the post-war era was generally single thickness and sewn from old shirts and scraps of fabrics whilst in recent years its often seen in rather nasty plastic (made in China) or bought from Tesco. We don’t do this kind! Our bunting for hire is all hand-made cotton print or cotton and satin-ribboned, double-thickness so it always looks fabulous and holds its shape perfectly with long end ties (which are essential for tying it up and usually far too short!) We have over 300 metres of it in vintage and retro colours. It generally comes in 5 metre lengths (just over 16 feet). 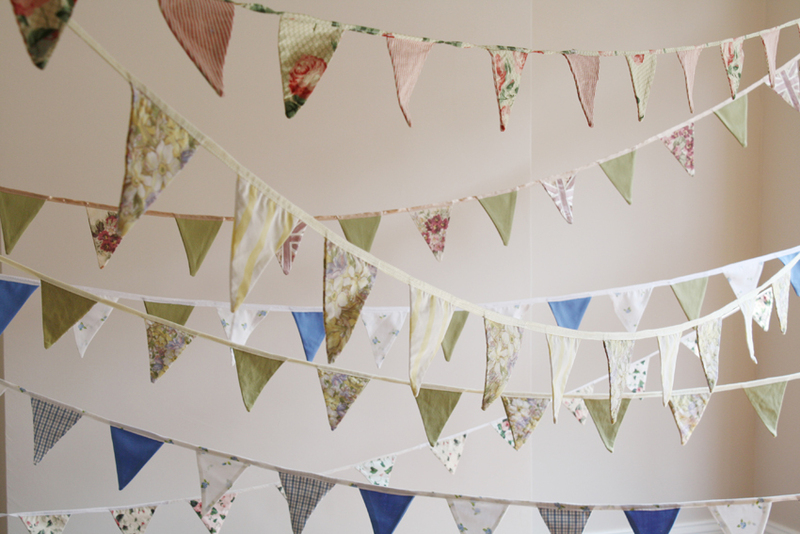 Bunting is for hire from Vintage Dorset for just £3 per garland (60p per metre) – this is cheaper than it costs to make from scrap fabric! How much bunting to I need for our marquee? Published by vdorset, on 24th May 2011 at 1:48 pm. 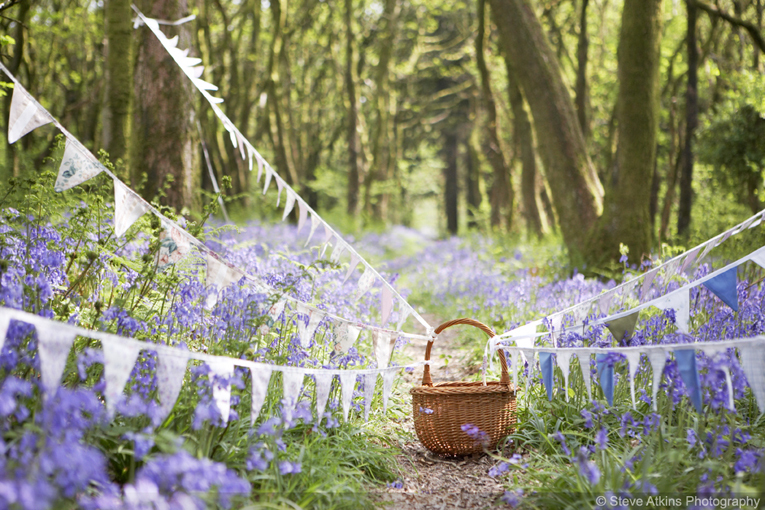 Filled under: Vintage Activities,Vintage Arts,Vintage Fashion,Vintage Homeware Tags: basket, bluebells, Bulbarrow, bunting, English, garden, hire, parties, picnic, summer, vintage • Comments Off on Bunting and Bluebells! 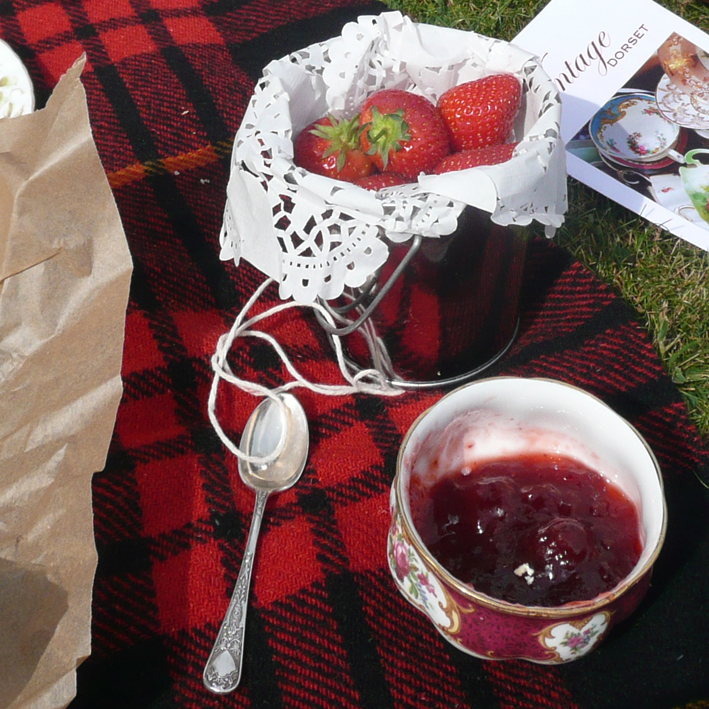 Creating an indulgent day out that truly delights the customer is exactly what Vintage Dorset is for, so we were delighted to respond to Hilary’s request from America for a local vintage picnic that would give her Dorset friends a special kind of treat. We packed up a basket of pies, sandwiches, tea, scones, ginger beer and our alternative idea of tinned-fruit (strawberries in tin pots!) 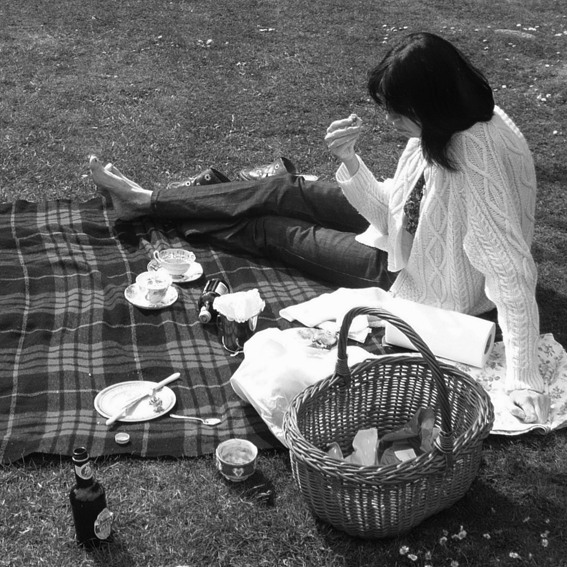 together with vintage teacups and a big picnic rug for Keith and Linda in Sherborne to enjoy a sunny picnic in style. We were over the moon when Keith sent us these fabulous pictures and a great testimonial – what lovely people! 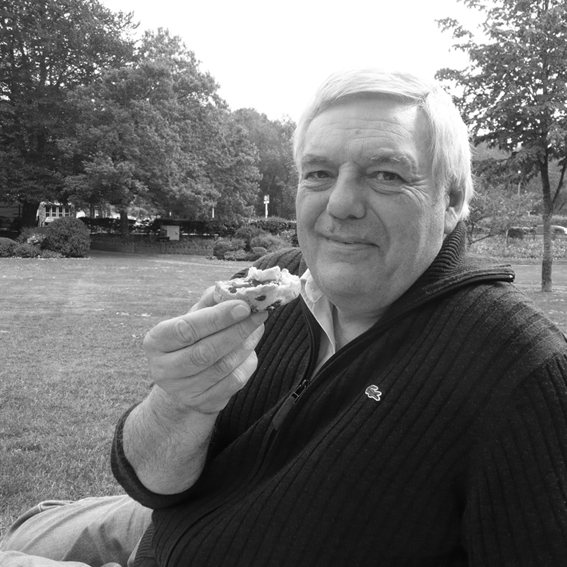 “we had our fantastic Vintage Dorset Picnic yesterday, the quality of the food and the crockery was sublime, as a gastronaut and ceramic collector it was my idea of heaven. 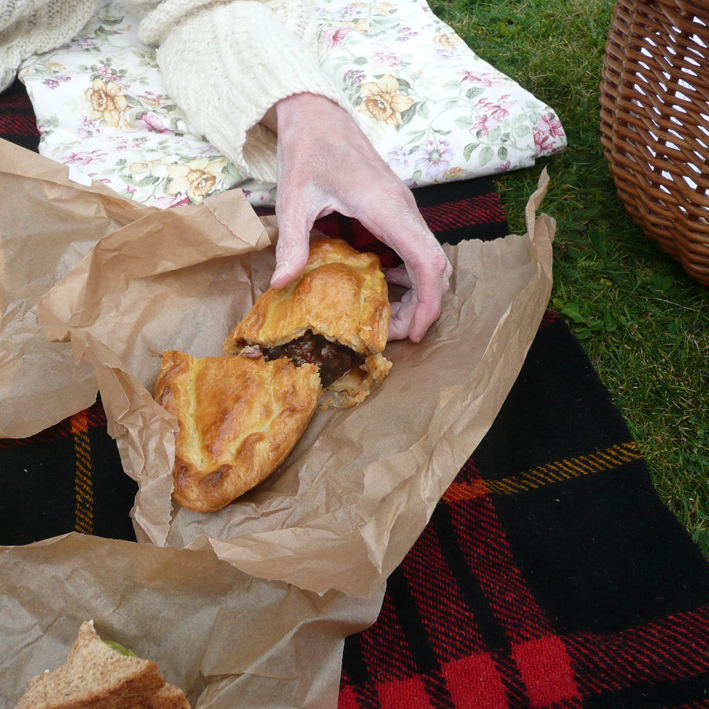 We can’t make every day a sunny picnic day – but just now and then we can promise to spoil someone! If you would like to give a local picnic as a treat, please get in touch to arrange your gift or hire our vintage picnic trimmings and treat yourself!